This weekend I had the pleasure of attending the second annual B-List Wedding Blogger’s Conference in Alexandria, Virginia, and I’m still beaming with gratitude for the support, the creativity and the friendships that this fabulous community of women has provided to me and to Junebug. Discussions covered serious topics of ethics and best practices as well as creativity, stylistic perspective, and of course weddings, weddings, weddings! I’m excited about the future of this group and all that we hope to accomplish so that you, our readers, get the best possible results. In honor of all of the talented ladies I got to spend the past few days with, here are some recent posts from a few of their blogs. If you’re not already familiar with these writers, take a look! Aisle Dash: Loads of pretty dresses from the recent bridal market collections to endlessly ooh and ahh over! Brooklyn Bride: We’ve fallen in love with this vintage-inspired save-the-date. The Ritzy Bee: Lovely ideas and pretty pink wedding details inspired by D.C.’s blooming cherry blossoms. Perfect Bound: We love Anne-Marie’s spot-on focus on fashion, and she recently interviewed model Ann Kenny for the W Magazine Editor’s Blog. Once Wed: A playful, chic real wedding at L.A.’s super-hip Smog Shoppe. Think Splendid: If you’re interested in the business, marketing or social media side of the wedding industry then Liene at Think Splendid is your go-to gal. 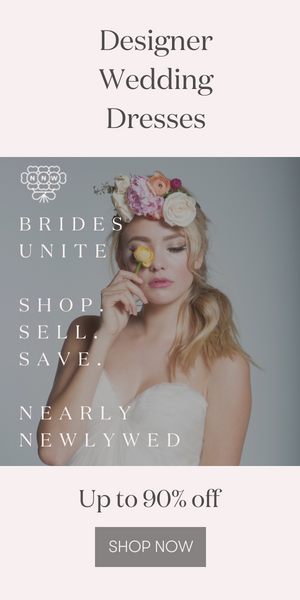 Read her thoughts on how blogs may be changing the wedding fashion world. Green Wedding Shoes: The photos from this romantic and imaginative engagement session take our breath away. The Bridal Wishlist: These delicious drink recipes are great ideas for a signature drink at your wedding! Oh So Beautiful Paper: Every post showcases incredible paper designs, but I’m especially enamoured with these simple black and white save the dates. Ruffled: We are swooning over these amazing flower arrangements. Elizabeth Anne Designs: Check out this stunning engagement session with plenty of Old Hollywood Glamour. Santa Barbara Chic: A bright and beautiful inspiration board for your spring or summer wedding! Little White Book by Merriment Events: Fanciful country-inspired ideas in bright colors for spring. Image by Kate Headley Photography. Thank you Kate! And thank you to Anne from Aisle Dash, Vané from Brooklyn Bride, Maria and Kelly from Ritzy Bee and all of our generous sponsors for the time and effort you put into bringing this conference to life! I’ll be introducing a number of these awesome sponsors here over the next few weeks, and to learn more about The B-List, visit our blog!